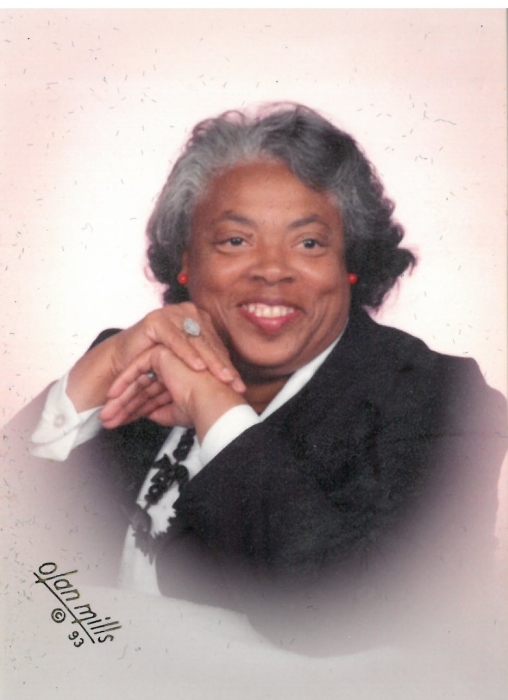 Alta Mae Jones, (affectionately known as Ta-mae) was born Alta Mae Martin on April 29th, 1935 in Lafayette, Louisiana. She passed away January 5th, 2019 at her home in Portland Oregon. She is the fourth child of six children born to Jerome Martin, Sr. and Elia Andrus. She is preceded in death by her parents Jerome, Sr. and Elia, older brothers, Andrew and Amon and older sister, Rita. She is survived by younger brothers Jerome Jr. and Vincent. Her late husband Aris passed away in 1993. She was raised in Lafayette, Louisiana. She met, was courted by and married Aris Jones in 1955. The young newlyweds moved to Portland, Oregon to start and raise a family. She was a homemaker who cared for their first born son David, followed by daughters Cheryl and Lisa then sons Christopher and Gerard. Both Aris and Alta were longtime parishioners of Immaculate Heart Church. She sang in the gospel choir, volunteered at the clothes closet, school cafeteria, and food bank. She was also instrumental in helping to organize and cook for the highly successful gumbo dinners. Alta was a beautiful, intelligent, strong , vivacious and stubborn spirit with a flair for style and a generous heart. She was also funny and creative with a distinctive laugh and a dazzling smile. She had varied interests which included enjoying all types of music, science fiction, cooking, sewing, gardening, reading and she had a penchant for shoes. She adored her numerous nieces and nephews and doted on her grandchildren and great-grandchildren. Although her passing will leave a void in our lives, she enjoyed life, family members and many friends and she was always there to brighten the lives of others. She was loved by all who knew her and she will be missed.